14+ Show, under 16 must be accompanied by an authorised adult, (25+). When does the performance actually start? I am not disabled but I do have osteoarthritis – will I be admitted with a walking stick as assistance for standing for a few hours? Any set times yet? Cheers! 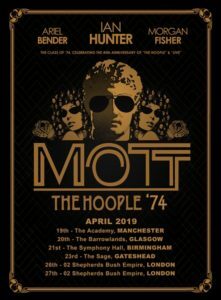 When is the box office open to collect tickets (Mott)?